Abdominoplasty, more commonly known as a tummy tuck, is a surgical procedure to remove excess skin, stretch marks and fat from the tummy. Most patients opting for tummy tuck surgery will inevitably be women who dislike the effects childbirth has had on their body. Following pregnancy, the abdominal skin can stretch and cause excessive loose skin with an overhang of tissue in the lower abdomen. Pregnancy also pushes the tummy muscles apart and although exercise can help tone them up, it cannot bring them back together. There will be scarring with this operation. The main scars will be across the lower tummy (bikini line) and around the belly button, but the size of them will depend on the type of surgery you have had. Following an initial consultation and examination with Mr Chana, he will be able to show you the position of where your scar is most likely to be. Abdominoplasty is not for people who are overweight and is not used to help patients loose weight. Patients choosing to undergo surgery, should be within several pounds of their ideal weight. Obesity only increases the complication rate and can result in unsatisfactory results. Standard Abdominoplasty This is the most common type of tummy tuck. It involves removing all the excess skin between the bikini line and belly buttonin an elliptical design. The muscles are tightened to achieve a flatter appearance. The skin is then stretched down to the bikini line and the belly button is stitched into the original position by making an opening in the skin that has been pulled down. There will be a long scar along the lower tummy and one around the belly button. Mini Abdominoplasty With this procedure, a smaller amount of skin is removed from the lower abdomen leaving a scar along the bikini line. Sometimes the muscles will also be tightened. The belly button is untouched. Abdominoplasty is carried out under general anaesthetic and requires a two night post-operative stay in hospital. 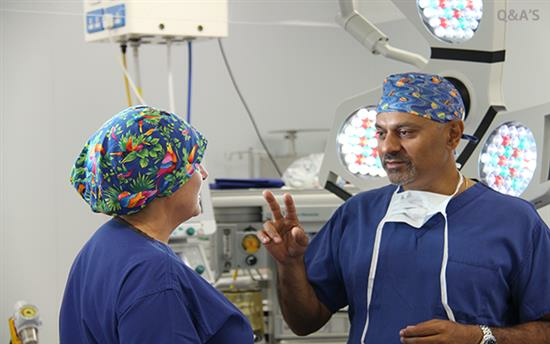 Mr Chana employs an advanced technique for his Abdominoplasty procedure. It uses deep stitches to close the space under the skin, which in the vast majority of cases helps avoid the use of drainage tubes to collect any excess fluid that may accumulate. The technique also reduces the rate of late fluid collections (seroma) under the skin. Once complete, a dressing is applied over the main suture line and umbilicus. A special compression garment is also required to help with healing. If you have to have drainage tubes with your surgery, they will be removed before discharge from hospital. A light dressing may be required for a couple of weeks, which should be kept dry. The compression garment should be worn for 6 weeks. Immediately after surgery the abdominal skin may feel very tight and indeed it may be difficult to stand up completely straight for the first few days. It is normal to feel moderate discomfort, however this is easily controlled by mild painkillers which will be prescribed by Mr Chana (Aspirin or non-steroidal medication must not be taken). Bruising will occur, but this will settle within 2 to 3 weeks. Mr Chana recommends taking Arnica for a week prior to surgery and two weeks afterwards to lessen the bruising. Occasionally, fluid continues to collect under the skin even a couple of weeks after the operation. This is called a seroma and may need to be drained with a needle at your postsurgery follow-up. However, with the use of advanced techniques the rate of seroma formation is significantly reduced. Numbness of the lower abdomen is also usual. It will gradually return to normal over a few months but a small residual numb area may remain near the middle of the scar. As with all surgical procedures there are risks. In the case of an Abdominoplasty they are small. Blood clotting problems can be a concern, so as a precaution you will have to wear T.E.D. stockings before, during and after the operation as well as mobilisation. Plenty of rest is essential too. Wound infection can occasionally occur, but can easily be treated with antibiotics. Severe infections are very rare. Smokers have an increased risk of delayed wound healing, therefore it is important to stop smoking as early as possible prior to surgery. Heavy smokers in particular, risk poor circulation to the skin which after an Abdominoplasty is pulled down to just above the pubic area. If any skin dies because of poor circulation it forms a leathery scab which would need to be removed at a later date. An Abdominoplasty scar is quite long. After surgery it will be red and perhaps itchy. It will change to a purple colour as it heals, but it may take several months to change to a much lighter colour. Some distortion of the skin, particularly around the hip area may occur. Occasionally it might be necessary to carry out a small adjustment procedure in order to reduce this should it persist once the initial swelling has subsided. A very small ‘roll’ or prominence may re-emerge just above the scar after many months, especially if the initial problem was severe. If this is of concern, it can be dealt with in a revision procedure at a lower cost to the patient. An Abdominoplasty or 'tummy tuck' surgery, may be suitable if you are concerned about excessive loose skin on your tummy, stretch marks or an abdominal protrusion which is due to a laxity in your stomach muscles. An Abdominoplasty procedure will address the loose skin and a tightening of the muscles will provide a much flatter appearance. What results can I expect from tummy tuck surgery? It is very important to understand that tummy tuck surgery is not a weight loss procedure and it is not an answer to obesity. It provides the best results if you are close to your ideal weight, where excess skin can be removed and tightening of the muscles will help flatten the tummy. Stretch marks can also be removed in the procedure, though this varies from patient to patient. If liposuction is performed at the same time it can further refine the results of the surgery along the waistline. Post surgical results will vary from patient to patient depending on your personal situation. Mr Chana can provide you with an idea of the degree of improvement you can expect from an Abdominoplasty at your initial consultation. Why is my BMI weight (body mass index) important to consider? Individuals who are beyond a body mass index of between 30 to 32 are at higher risk of complications with an Abdominoplasty. For this reason, Mr Chana may ask you to lose weight before considering you for surgery. Tummy tuck surgery causes a variable degree of discomfort which can be controlled with painkillers. The discomfort is mainly due to the muscle tightening which in most patients will not be felt at rest, but only as you begin to move. Provided you take things slowly and are careful, the discomfort is easily controlled and limited to the first few days following surgery. Are drains required following tummy tuck surgery? In the vast majority of cases, drains are not needed after surgery. Mr Chana uses a special technique where numerous internal stitches help close the space under the skin to mimimise fluid accumulation, thus avoiding the need for drains. It also reduces some other possible complications such as seroma (late clear fluid formation). Mr Chana has had work and research published to support his Abdominoplasty technique. 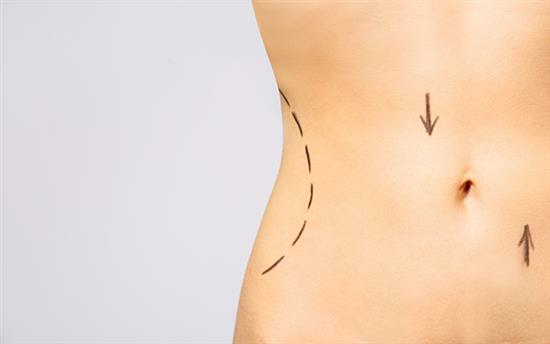 What other procedures can be combined with tummy tuck surgery? It is very common for liposuction to be performed on the sides of the tummy to enhance the waistline at the same time as undergoing an Abdominoplasty. 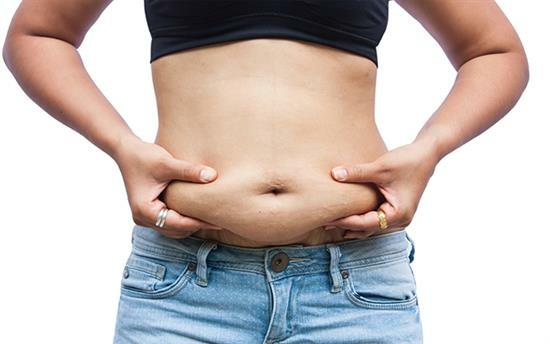 And if there are extensive fatty deposits, a technique called a 'Lipo-abdominoplasty' can be performed where liposuction is used to refine the results of a tummy tuck. This is called a 'Brazilian Abdominoplasty'. Tummy tuck surgery can also be part of 'mummy makeover' and combined with breast surgery such as an uplift, reduction or implants. From the moment I met Mr Chana, I know I was in safe hands. He made me feel completely confident and comforatable at my initial consultation. On the day of surgery, I was really really nervous and he made me feel so calm and at ease. After having two LARGE 10lb babies my stomach had been completely ruined with saggy skin and terrible stretch marks, I also had love handles too which I was constantly squishing into Bridget Jones knickers for 3 years. After my operation I was sore and felt uncomforatable, but the care and love I received from the staff who took care of me and Mr Chana made me feel much better. 6 weeks later and I am totally body confident. I have a flat stomach a curves that I am proud to show off. I would highly recommend Mr Chana and his wonderful team to anyone who is considering cosmetic surgery. He has changed my life! Tummy tuck following a number of medical procedures over the last 30 years I was left with weak stomach muscles and very flabby skin. ... I was certain that if I were to have it done, I would only want Mr Chana to do it. I'm 56 years of age and now 5 weeks post op and although still a little sore in places I'm absolutely delighted with the results and my new body shape. Mr Chana is an amazing man, such a perfectionist with his work along with being a very patient, thoughtful and caring man too, I'm truly in awe of him, he has made this a complete life changing experience for me too. My stomach is flat and firm and the scar is so neat, I'm so body confident now and I'm considering going out to buy my very first bikini. I feel very privileged to have had Mr Chana to do my tummy tuck, he's an absolute gem and both my daughter and myself couldn't recommend him more strongly. I have so much more confidence ­ this has transformed my figure and I wish I had embarked on surgery sooner. thank you so much again. I had abdominoplasty just a few weeks ago and am absolutely thrilled with the results. Dr Chana explained the procedure in detail but the results are better than I thought they would be. I had wanted this surgery for some time and was quite nervous however Dr Chana put my mind at ease and made it a stress free experience. He has given me my confidence back and I couldn't recommend him enough. I underwent Abdominoplasty with Liposuction at Spire Bushey Hospital with Mr J Chana. I am absolutely delighted with the results. I had researched the procedure prior to my surgery and had read and seen some horror pictures. My Procedure went without a hitch and I was home within 24hours. I was sore and uncomfortable for several weeks but as they say no gain without pain. My scar has healed well and I am now confident at the age of 53 to wear a bikini without feeling the need to cover up. I would recommend Mr Chana to anyone considering the procedure - he was professional and honest at all times as were the whole team.